The most successful brands on Instagram have one thing in common—they know their audience. When you understand what your target audience wants, their pain points, how they talk and who they are, it’s a lot easier to market to them. But the question is how do you find all of this out? The easiest place to start is your Instagram follower analytics. 1. When Should You Post? 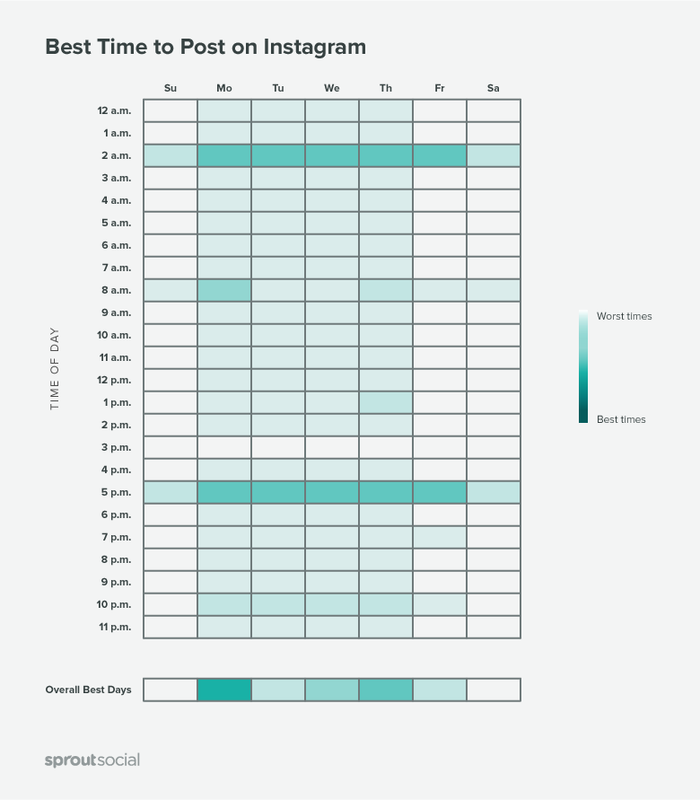 One of the most common questions marketers have is when is the best time to post on Instagram? That question is actually asked so frequently we made an entire post about it, and you can check out our findings in the graphic below. While that data is a good guide to steer you in the right direction, you can get even more info from your Instagram follower analytics. 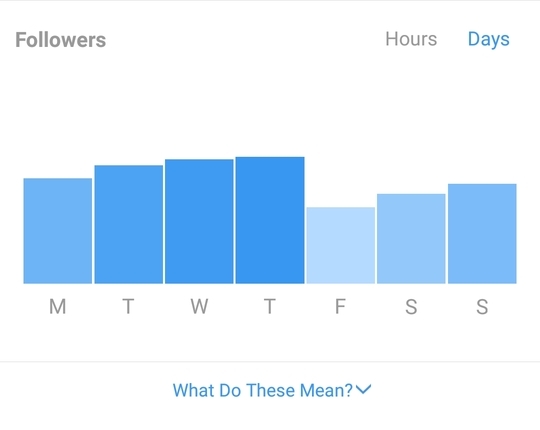 If you have a business page, Instagram shows a graph of when your followers are most active. It’s broken down by day and hour. Once you know when your audience is most engaged, schedule your Instagram posts to be published when your followers are most likely to see them. Also keep in mind that the “best time to post” will change as your audience grows. Take a look at your Instagram audience report on a regular basis to ensure you’re sharing photos and videos at the optimal time. Instagram uses an algorithm to determine the order that posts show up in your followers’ feeds. A common misconception is that timing isn’t part of the equation. While the algorithm definitely favors posts with engagement, frequency is still important. Use your Instagram analytics to get an idea of how your publishing frequency is affecting your engagement. Specifically, you want to look at the correlation between how close together your posts are and your engagement. For instance, do you see a significant boost in comments and likes when you publish every four hours compared to every eight hours? In order to find this information, start by looking at your daily engagement. These screenshots are from our Instagram analytics tool. Match that data up with your publishing behavior (i.e. how many times you publish each day). Look for correlations between the number of times you publish each day and your engagement. 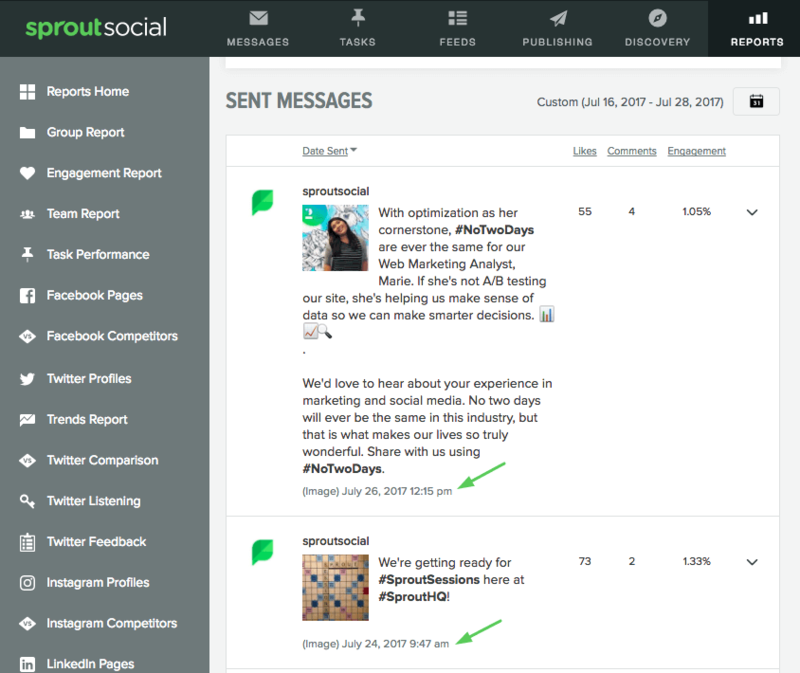 In order to get even more specific, use our Sent Messages report to see the exact time your posts were published. Take note of how far apart they are from each other on your highest performing days as well as you lower performers. Once you understand the frequency that generates the most engagement, try to stick with it. But also don’t get tied down to it. Test different posting cadences to find what works best. Just remember to refer back to your analytics to keep track of it all. 3. What Should You Post? 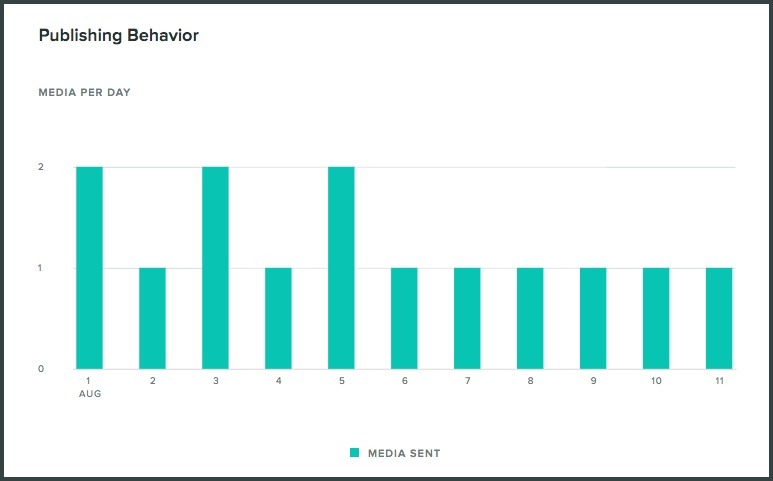 Another crucial piece of information you can get from analyzing your Instagram followers is insight into what type of content your audience wants to see. Understanding what resonates with your followers will make it easier to attract more people like them as well as keep your current fans engaged. Have you ever noticed trends or themes in the content that certain brands post on Instagram? It’s typically because they’ve analyzed what their audience responds to, and they’re supplying more of that style of content. Brands like Nike and Starbucks don’t simply rely on brand recognition to succeed on Instagram. They share photos and videos they know their audience will appreciate. For example, Nike frequently posts motivational and inspirational videos because their audience wildly enjoys it. Identifying the content your audience craves is simple. You can either use the native Instagram app or a tool like Sprout. Whatever Instagram reporting tool you use, you’re looking for your posts with the most engagement. Within the Instagram app, you have the ability to sort your top posts by impressions, engagement, likes and comments which is very convenient. Sprout also gives you post performance data as well. Here’s what it looks like. 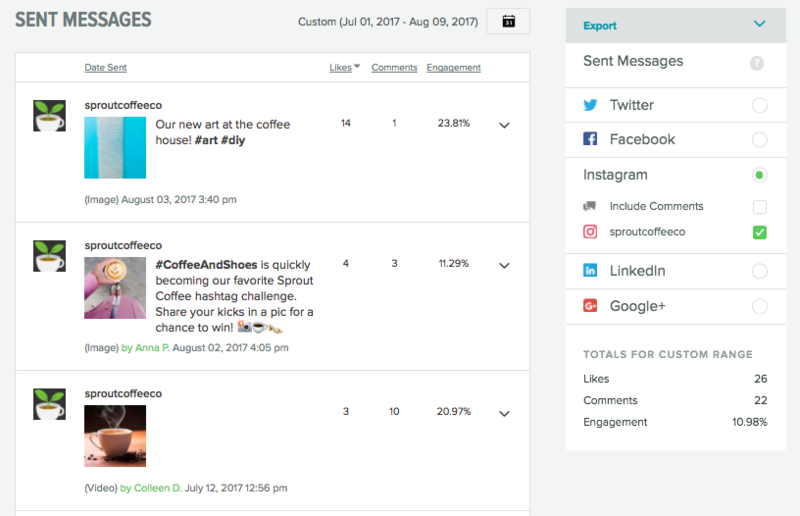 One benefit of using Sprout to find this information is that our Sent Messages report also shows you the engagement rate of each post. 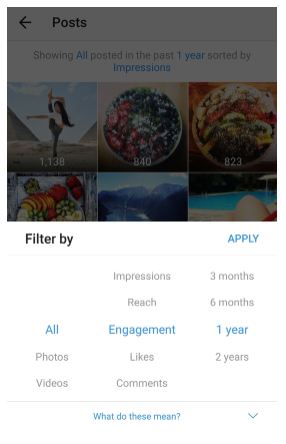 This will save you the time and effort of manually going through to find the engagement rate of each post in the Instagram app. Plus, you can export the data into a spreadsheet for even further analysis. Use these reports to get an in-depth look at how your content is performing. 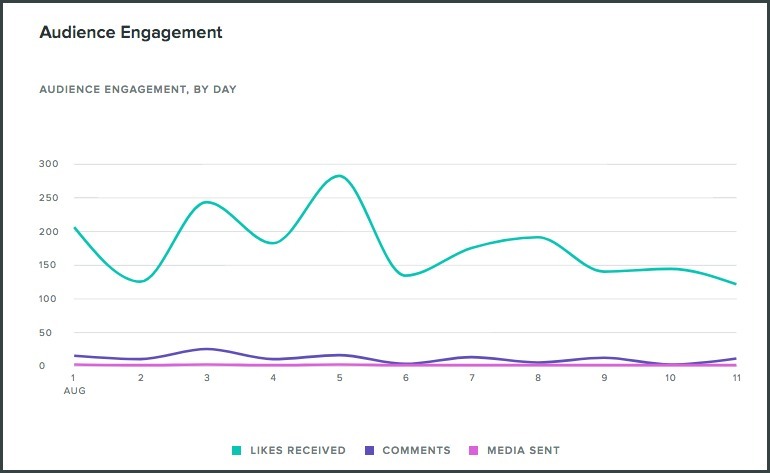 If your posts are getting a lot of impressions, but low engagement, it could mean content didn’t catch your audience’s attention, so they scrolled past. And if your posts with the most likes aren’t getting very many comments, it could mean your caption aren’t engaging or actionable enough to compel people to reply. Use the insights you gain to adjust and test new content. 4. Where Should You Post? Do you know where your audience is physically located? You can use your Instagram follower analytics to find out the country or city most of your followers are from. This is extremely helpful if your brand has physical locations where customers can visit like a retail store or office. 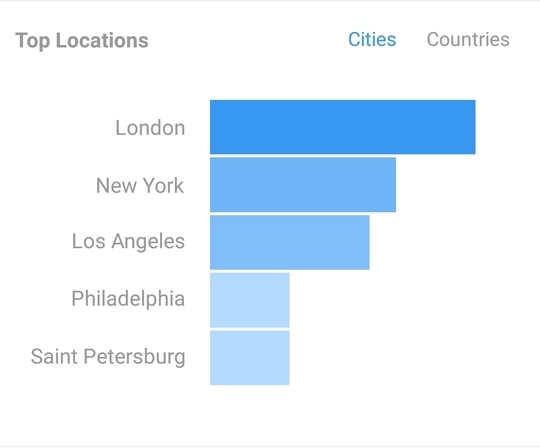 Within the native Instagram application, you can see a report with the top cities and countries your followers are from. You can use this demographic data in several different ways. It can inform brand strategy such as new locations to target. Or you can also use it tactically such as posting photos from landmarks in your top cities and geotagging the location. Not only will geo-tagging make your content easier to find, but it’ll also be more relevant to your audience. Geo-tagging is starting to become increasingly integrated into other features of Instagram such as the Explore page and even Instagram Stories. Knowing how to use this data strategically can open up completely new opportunities for your brand on Instagram. 5. Which Influencers Should You Engage With? 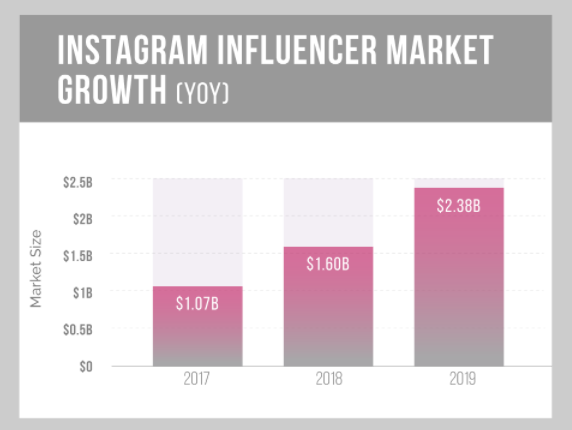 Influencer marketing is an important piece of the Instagram marketing puzzle. It’s currently a billion dollar industry, and is projected to double by 2019. In order to jump on board, you need to find relevant influencers to network with. You could start from scratch and just search through profiles to find a match. 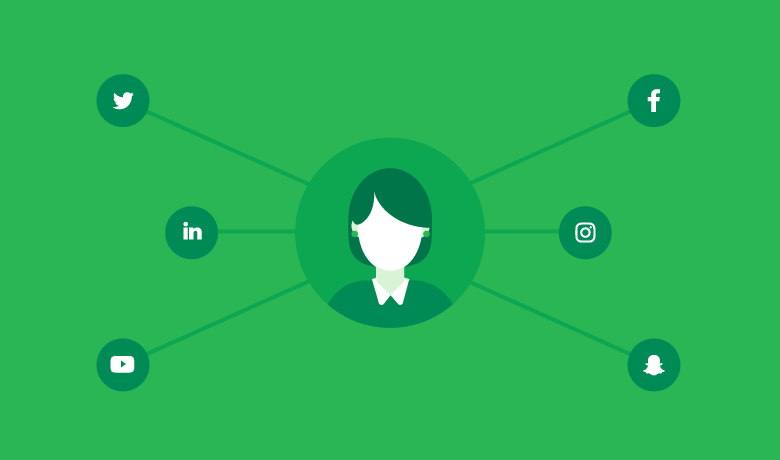 But if your brand has been on Instagram for a while, there’s a chance you may already have some connections. 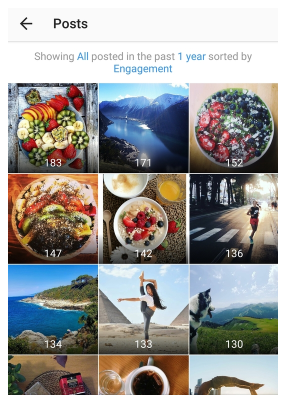 Sprout’s Instagram analytics includes a “Top influencers engaged” section. This report gives you a look at the most popular users (based on follower count) that have commented on your posts. Since they’ve commented on your posts, the influencers you identified are likely familiar with your brand already. From there, it’s just a matter of reaching out and putting together a plan. Check out the article below for an in-depth guide on how to get started with influencer marketing. How Well Do You Know Your Instagram Followers? Thanks to the data you can get from your Instagram follower analytics, you’re no longer restricted to your “best guess” or assumptions about what does and doesn’t work. As we’ve shown, you can see exactly what’s working by answering a handful of questions. Success on Instagram starts with understanding your audience. Use analytics to uncover the details behind what makes your followers tick. Then use those findings to improve your engagement, grow your audience and get more from your Instagram marketing efforts.